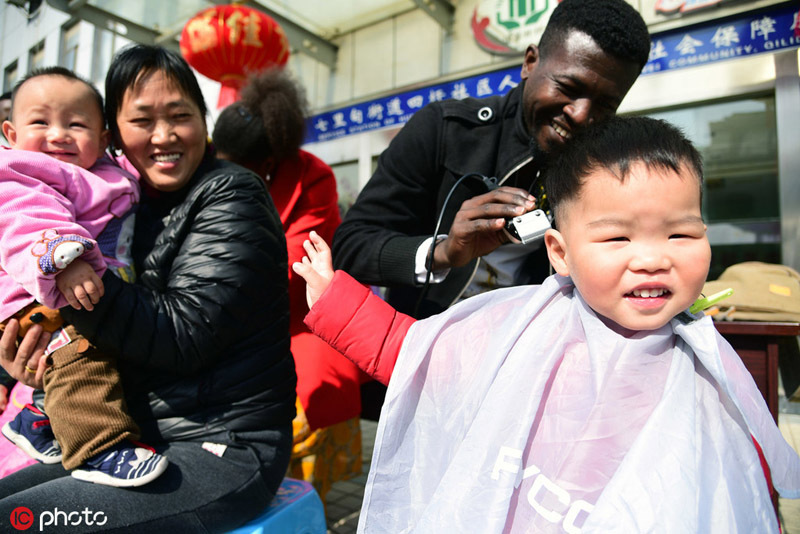 People living at the Siwei Community in Zhenjiang city, Jiangsu province, welcomed a group of "special barbers" on March 8, getting their locks chopped by Ghanaian, Nigerian, Burundian, Malawian and South Sudanese students studying at nearby Jiangsu University. The event, falling annually on the second day of the second lunar month, marked the traditional Longtaitou Festival, or Dragon Head Raising Festival, which Chinese people usually celebrate by having their first haircut of the lunar New Year. The day also marks the beginning of spring and farming. With heart and soul, the international students served as volunteers and used their skills to give haircuts to local residents and experience folk customs.